As head of public services for the Zimmerman Law Library, Susan Elliott is responsible for making sure the library supports the academic mission of the school. This includes overseeing services to all library patrons, making sure the necessary books and electronic resources are available and accessible, and providing reference service seven days a week with a librarian who holds a master’s in library science and a law degree. Professor Elliott also teaches in the Academic Excellence Program. In addition to her library work, Professor Elliott writes monthly Dayton Bar Briefs articles and quarterly Ohio Regional Association of Law Libraries articles. She also co-authors the Ohio section of State Practice Materials: Annotated Bibliographies. After receiving her law degree from the University of Dayton, Professor Elliott clerked for Judge Walter Rice of the U.S. District Court for the Southern District of Ohio for two years before joining the law firm Coolidge, Wall, Womsley & Lombard, where she concentrated in complex litigation. 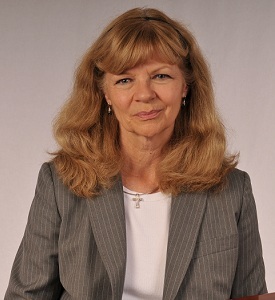 She has also been an English instructor at Miami University, Xavier University, and Wright State University.